The Christmas movie 2015 - "7 top tips to getting the present YOU want"
YES! Its time for my Christmas movie. This continues my tradition of making a silly little short film every year instead of sending out cards. So I hope you enjoy it. This time I roped in fellow Nelson Nutmeg folks Danny Stack & Shaune Fradley and then we totally trashed the house of Loretta Walsh (who plays Billie in Who Killed Nelson Nutmeg) so apologies to her and her parents. Writing a feature takes time. Writing a TV episode is a lot of work. Even a good short film isn’t something you can just bang out. It normally takes four or five pieces of work before a writer finds their original voice. Becoming a good writer isn’t a fast process. We’re talking about years, not months. It takes time to build your network, to get experienced at pitching, to weave excellent loglines and outlines. 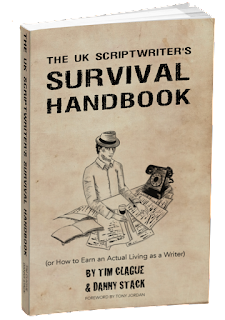 Whichever way you look at it, becoming a good, profitable writer in a short space of time is unlikely. The industry’s huge, right? Impenetrable and overwhelming, yes? After all, there are thousands of people constantly trying to get their break, not to mention thousands already working within the system. In terms of finding the right people to work with, the industry thrives on referrals and recommendations. For the new writer, this means it’s important to make a good impression, no matter whom you meet or where and when you meet them. This is actually a small industry. Reputations count. The “big break” mentality is a fallacy. It can force you to think of the industry as a ring-fenced citadel with you on the outside and “them” on the inside. They’ve got everything and you’ve got nothing – and if only they recognised your talent, they would invite you in, too. The industry is just a collection of people trying to get by, just like you. They don’t have secret meetings about keeping people out. If you focus on individuals within the system rather than imagining a big industry citadel with a single key, you’ll be better off. Don’t spend too long comparing yourself to others. Their path to success won’t be the same as yours. Sure, pick up some tips and inspiration, but everyone’s journey is different. Everyone’s motivations come from a different heart. Everyone has their own voice. Don’t think: “Well, Richard Curtis built his career by steps 1, 2, 3 – I will do the same.” His career grew out of his life; it was built up from his contacts, and the people he worked with strengthened it. Your life, contacts and colleagues are, and will be, different. Use what you have. Instead, what if all that effort was used to actually make something: to do your own work, to produce your own short film, to write something that doesn’t need a lot of money to make, to team up with other people at your level? The best people don’t always rise to the top. The best scripts don’t always win competitions. The best writer doesn’t always get the gig. Who decides what “best” means anyway? And are they the best person to do it? And on it goes. When things go right, it’s often because of hard work and talent. But luck plays a part, too. Don’t forget that. You can learn to work harder, improve your skills, and develop new techniques. Luck is just luck, there’s not much you can do about that. It’s important to put things in perspective and stick to what matters most: your writing and your career. Producers, execs and script editors are busy people, with constant demands on their time. If you contact them hoping to solicit a script request or get some work, then put yourself in their shoes and try to examine your approach from their point of view. Do you have a script that’s relevant to the type of film or show they like to make? Have you researched their credits and background? Are you making a generic cold call just looking for a break? 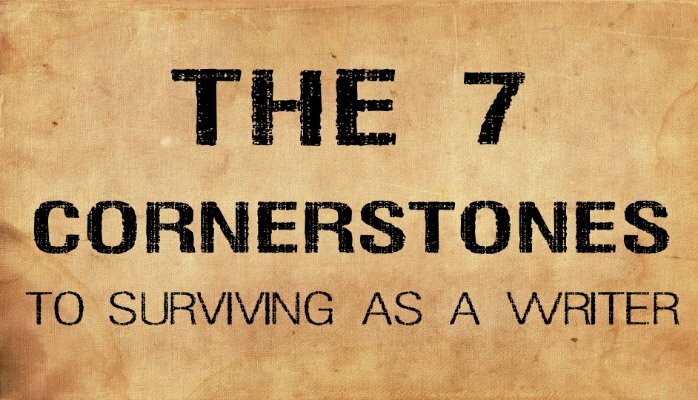 Why should the producer/exec/script editor care? What’s different about you? Why should they reply to your email or take your call? Think about what they want, and how you can respond to their needs and routine. Writing stories for any medium is the best job in the world. Before a writer comes along, there’s nothing. There’s a blank sheet of paper or, at best, some scrappy notes. When you hand over a script, there’s a world inhabited by original characters involved in dramatic and funny situations. It’s very, very cool, and it’s all thanks to the writer. 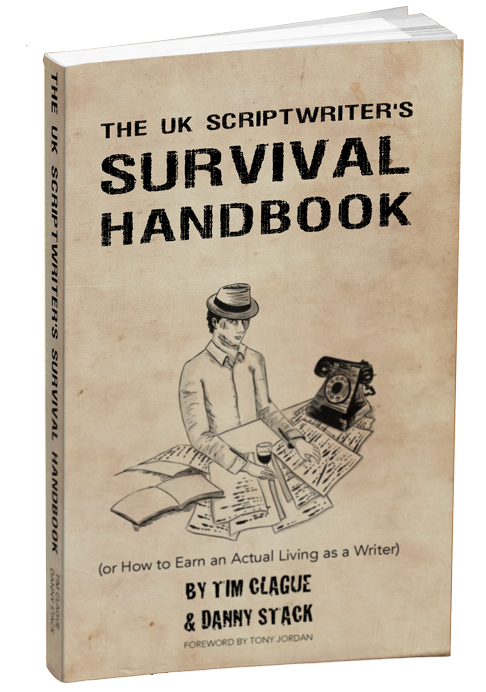 This is an extract from the recent book, UK Scriptwriters Survival Handbook which was co-authored by Danny Stack and I. These 7 cornerstones are our favourite part of the first chapter, which is why we are sharing it here.